If you want to reach your target audience and grow your brand on Twitter, there are lots of Twitter tools at your disposal to help you do just that. The right toolkit will not only save you time, it will allow you to track and improve your performance too. In this post, we look at 40 tools that will make your Twitter marketing strategy run more smoothly. Is your goal to discover influencers, new customers, trends, or sentiments about your brand? Is it to see how far your Tweets are reaching or to conveniently insert photos into your tweets? Whatever your goal is, there’s a tool that can help. Bonus: Download the free strategy guide that reveals how Hootsuite grew our Twitter following to over 8 million users and learn how you can put the tactics to work for your business. Every Twitter account has free access to the Twitter Analytics Dashboard. View how many impressions and engagements your tweets get at specific times of the day and week. You can also track the performance of your Twitter cards. Use TweetReach to get a free snapshot of how your tweets are performing. Search your hashtags, links, and keywords to see who’s engaging with your messages. Paid subscribers can also track replies, mentions, hashtags, keywords, and retweets in real-time. Get real-time data about your key Twitter metrics using Hootsuite Analytics. Reports are clear and concise, and you can export and share them with your team. Find out who your top followers are with SocialRank. Get sorted lists of your most influential and most engaged followers. Find out who’s most valuable so you can give them priority. You can also segment your audiences by using filters and sort them into custom exportable lists. Twitonomy gives insights into anyone’s tweets, retweets, replies, and mentions. You can also view which users don’t follow you back and get analytics on keywords, hashtags, and URLs. Use Foller.me to gain insights on any public Twitter profile. Search keywords, hashtags, followers, and locations. See when specific users are most active so your messages can reach them at their peak times. Foller.me also displays when users joined Twitter and their follow ratios and time zones. Unmetric Inspire for Hootsuite gives you deep insights into other brands’ activities. This tool combs 150 million pieces of content published by more than 40,000 brands. Search by keyword or hashtag. Customize your search by industry, date range, and geography. Build segmented audiences based on demographics, personality, interests, and values with Audiense. Engage them with content relevant to their interests and needs. You can get Audiense for free in our App Directory. Expand your potential customer base with Mentionmapp. This tool makes it easy to find people, places, events, and conversations associated with your customers. Find out who your customers are talking to and what they’re saying. Adjust your marketing strategy to better target them. Demographics Pro shows who’s engaging with your Twitter campaigns. It identifies influencers and ranks them according to how (and how often) they engage with you. It also provides compared analysis of famous brands and users. Get Demographics Pro for free in our App Directory. Instead of manually combing the internet for leads, set target parameters in LeadSift. This tool scans millions of conversations to find who’s talking to your competitors. Focus your marketing efforts on potential customers who are already intending to buy. LeadSift is available in the Hootsuite App Directory. Never miss another customer conversation or mention of your brand with Mention.net. This tool tracks over 1 billion sources on the web and social media. It’s also great for finding influencers, measuring sentiments, and doing competitive analysis. Keyhole lets you see who’s mentioning your brand and engaging with your hashtags, keywords, and links. It also lets you track competitors’ Twitter activity so you can adjust your marketing strategy around theirs. Download or get links to your campaign reports, and share updates with colleagues and brand partners. This social listening tool allows you to find users relevant to your brand. See demographic data, sentiments, and what users are saying and to whom. With Brandwatch for Hootsuite, you can customize streams of mention results by filters right in the Hootsuite dashboard. Hootsuite Insights helps you understand conversations happening around your brand. It allows you to gauge sentiments, reply to comments in real-time, and follow key trends. Save time by setting up automatic reports that you can share with your entire company. Synthesio tracks sentiment so you can learn how customers perceive your brand. You can then engage them with content that better suits their needs and interests. 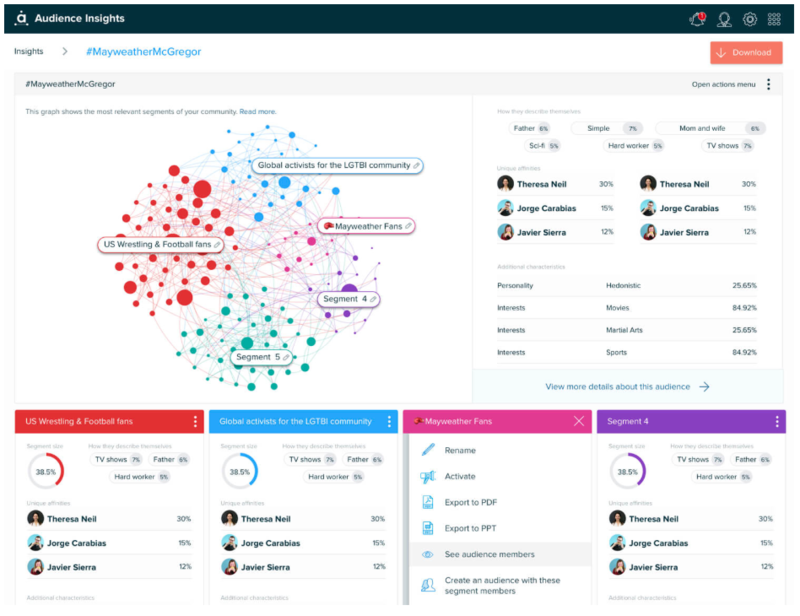 Synthesio is free with a Hootsuite Enterprise account. Create Twitter Lists to sort users into categories. Each List acts as a quick, handy directory that allows you to view a feed of relevant tweets. You can also subscribe to lists curated by other users. Gain a deep understanding of your online audiences with StatSocial. This tool gathers insights on users’ interests based on over 40,000 categories. The free StatSocial app for Hootsuite shows the top five segments for each interest category as well as top cities and personality traits. Track and manage reviews of your business with Reputology. It monitors Google, Facebook, and more 24/7 so you can engage reviewers in a timely fashion. See what customers are saying, and improve your reputation and their experiences. Reputology is available for free in our App Directory. Tweepsmap is an all-in-one social listening tool. Analyze anyone, and research any hashtag or topic to see how far your tweets reach. Learn what your followers like, their sentiments, the best times to tweet, and how users engage your tweets. Save time by making better-informed marketing decisions. Tweriod shows the best times of day and week to tweet. It analyzes your tweets and the tweets of up to 1,000 of your followers to reveal when your messages are likely to reach the widest audience. TweetChat automatically adds a hashtag of your choice to the end of your tweets. TweetChat also compiles all the tweets that use this hashtag into a live feed right below the text box. Use TweetChat to follow and join conversations as they happen. Use Commun.it to identify influencers and customers you’ve been neglecting so you can give priority to those valuable users. Track mentions of your brand, hashtags, and website too. And use Commun.it’s smart scheduling to automatically spread your tweets, retweets, DMs, and replies over the best posting times. Commun.it comes free with a Hootsuite account. Use Twitshot to extract images from links and attach them to your tweets. Include a link when composing your tweet in Twitshot, and choose the image you want. 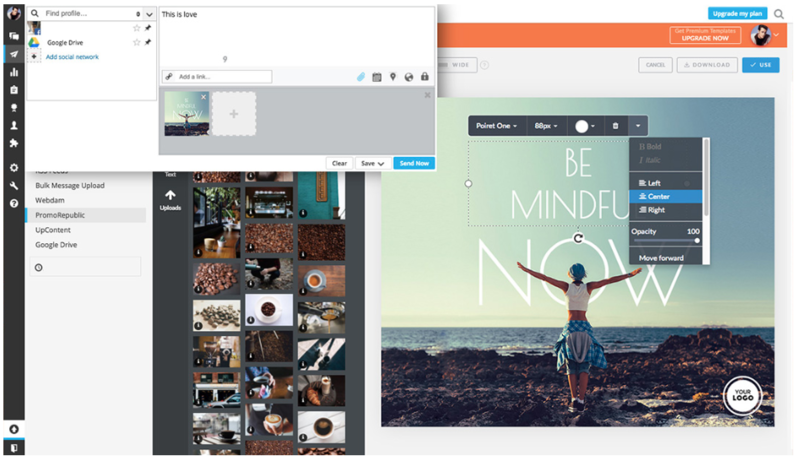 Use Canva’s photo editor, colour palette, fonts, and design tutorials to create custom images. Upload your own photos or use templates. Graphs, calendars, business cards, wedding programs, and much more are possible for anyone to make with Canva, whether you’re a graphic designer or not. Edit photos, create graphs, and do graphic design with PicMonkey. This tool also offers tutorials. Forget the tedious process of manually resizing images. Hootsuite Enhance will ensure your images are cropped and sized perfectly for Twitter. Once your image is ready you can share it straight to Twitter or send it to Hootsuite for publishing later. Promo Republic offers up to 100,000 images and templates. Customize them with your logo, a description, or a link, or create new ones. Schedule or publish your posts right from your Hootsuite dashboard. Promo Republic also offers performance analytics and best posting times. Klear has one of the most sophisticated influencer search engines. It boasts over 500 million profiles, 60,000 categories, and five years of historical data. Dive deeply and find the right influencers for your brand. Find influencers by searching Twitter bios for keywords. Compare interests, habits, and sentiments between Twitter accounts. If a user shares similarities with your followers, connect with them. Use TrendSpottr to detect trends and viral content as they emerge. 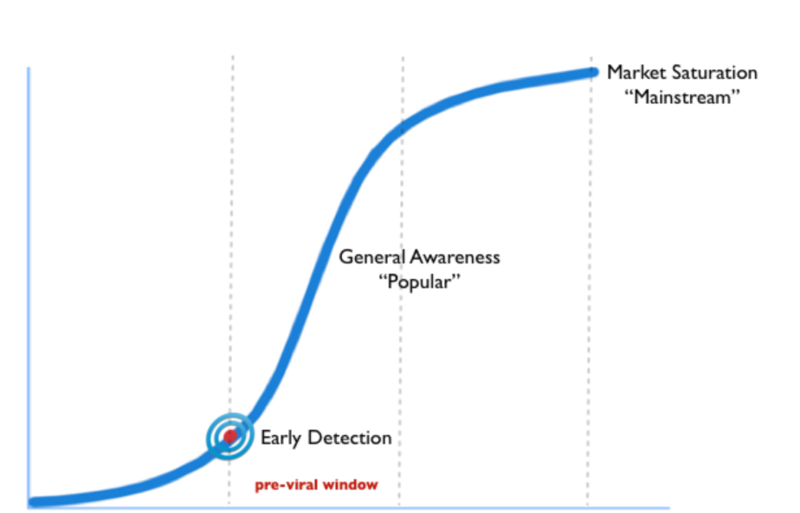 By detecting potential trends, you can join the conversations early and see who is at the source of them. If you expect a crisis, you can try to prevent it from happening. TrendSpottr comes in a free version in the Hootsuite App Directory. Sift through irrelevant content and bots to find meaningful, actionable data with Nexalogy. Search users you follow, hashtags, and keywords to form accurate pictures of conversations that matter to your brand. The Nexalogy app is free with a Hootsuite account. Find timely content that’s relative to your brand with the discovery engine ContentGems. ContentGems boasts a database of hundreds of thousands of sources. This tool is free in the Hootsuite App Directory. Search for Twitter trends and get detailed reports on iTrended. This tool shows when a trend went global, where it trended, for how long, and how it ranked. View a zoomable heatmap to see where a trend happened. Manage your following list with ManageFlitter. It shows who has stopped following you and which of your followers tweet too often or don’t tweet enough. Use these insights to decide whom to stop following, and streamline your Twitter feed. Plug any two usernames into DoesFollow and see if they follow each other. This tool is great for expanding your potential customer base and contact network. Discover followers and strengthen your relationships with them using Refollow. Its analytics provide insights into your performance and areas you can improve. Refollow will help you get the most value out of each follower. Get hashtag suggestions for a keyword or image using RiteTag. The free version displays hourly hashtag stats on unique tweets, retweets, impressions, tweets with images, tweets with links, and tweets with mentions. It also shows hashtags to avoid due to low usage and engagement. Primal Content Recommender scans the internet for content based on your interests and Twitter activity. Schedule the results or use them as you get them in Hootsuite and save time. Use BuzzSumo to see what content performs best for any topic and who shares it. BuzzSumo also lets you see what content works best for your competitors. Make your content more relevant to any given topic, and stay ahead of the competition. Now that you have all these tools to step up your Twitter game, save even more time by using Hootsuite to manage Twitter alongside all your other social networks. Leslie Ken Chu is a freelance writer in Vancouver. He likes bands. He writes about them. Sometimes he talks to them first. If your download doesn't automatically begin, click here to get the guide.